Today with over three decades of experience as a Certified Financial Planner, he is recognized by his peers as a leader in his industry. 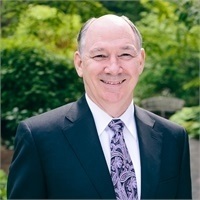 As President of MarsJewett Financial Group, Inc., he is a tireless and inspirational leader with the drive and vision to develop a caring and professional corporate culture. Glenn exudes warmth, camaraderie and leadership. You can tell when you meet him that he's successful on and off the field. An honors graduate from Bucknell University with a BSBA in Civil Engineering, he was an All-American soccer player, captain and MVP and is an inductee in the James Caldwell, NJ High School Athletic Hall of Fame. Glenn is passionate about life, and spirited about serving others to help them reach a higher prize. As a former seminary student, family man, husband, father, father-in law and grandfather of two, he knows that there is much more to life than money. His work reflects his deep commitment to family welfare and charitable causes.